These shops were built in 1964. 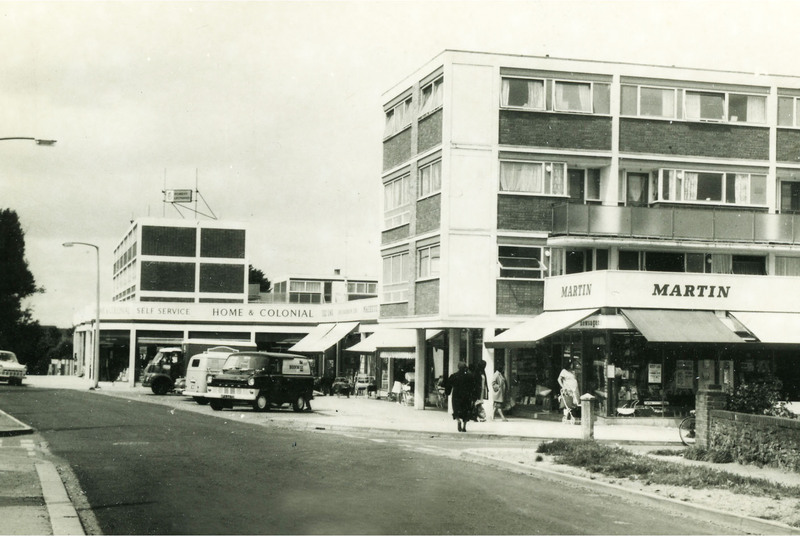 I used to live in Hazlemere Road and after my Mum died I found a letter in her belongings telling my Dad (who was working away) about some new shops they were building. The letter was dated June 1964 so I’m assuming these were built that year. These shops and the maisonettes on the site were originally owned by Liverpool Victoria and managed by Taylor Lloyd and then Abbotts Countrywide. Liverpool Victoria sold the property circa 1988. Yes Hi Chris I remember you. Your Dad worked for the GPO. I did a job for an old boy on Canvey a few years back and he also worked for the GPO and knew your Dad. I’ve got a good piece of footage showing the Greeves motorcycle factory up the road from here. Shows all those Walls Ice Cream vans that used to be there. It was filmed 1967. Steve, in the early 80s Whites Wonderland must have changed to Wings & Wheels, as we often bought toys there for our daughter.